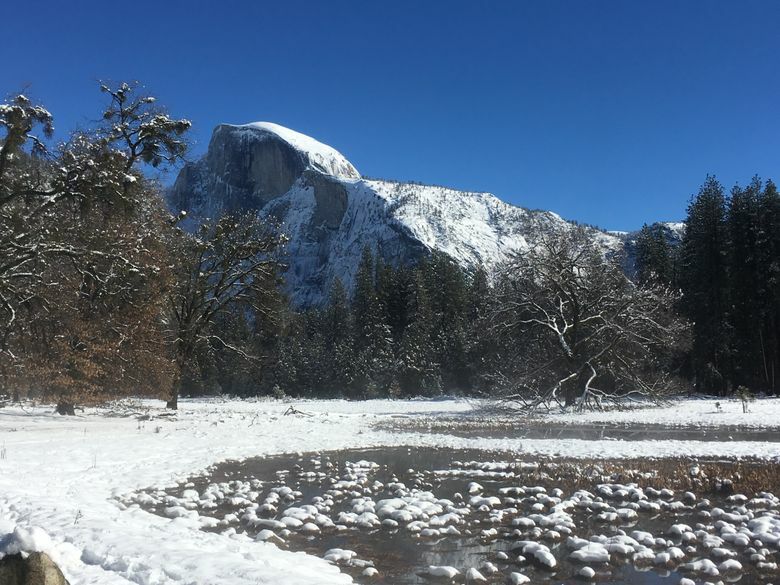 YOSEMITE NATIONAL PARK, Calif. — Yosemite National Park might not seem like an ideal winter destination, particularly if you’re from a part of the country where you’d like to trade in road salt for rim salt on your margarita and leave the words “wind chill” behind. 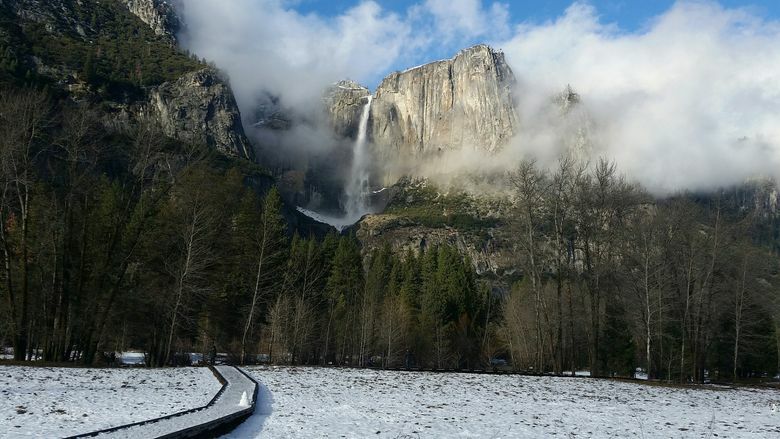 But Yosemite in winter is magical, as I discovered last year on a trip there with my family just after Christmas. 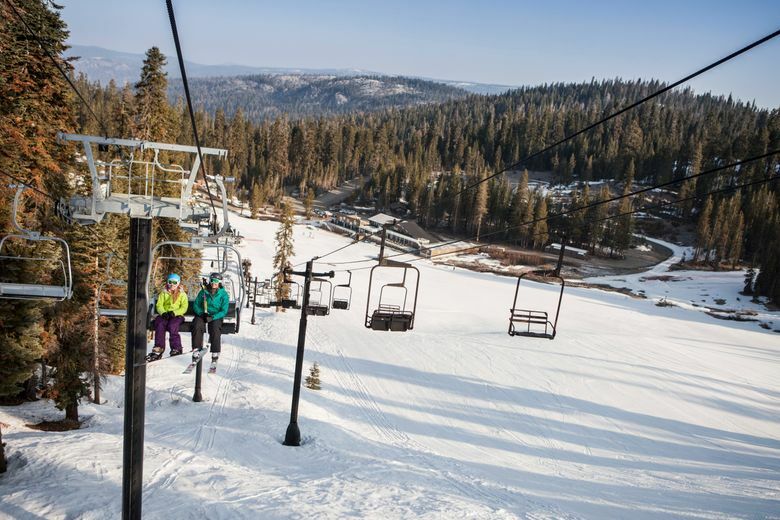 There’s snowboarding and skiing, both downhill and cross-country, as well as sledding (pick up a plastic saucer at a sporting-goods store on the way). 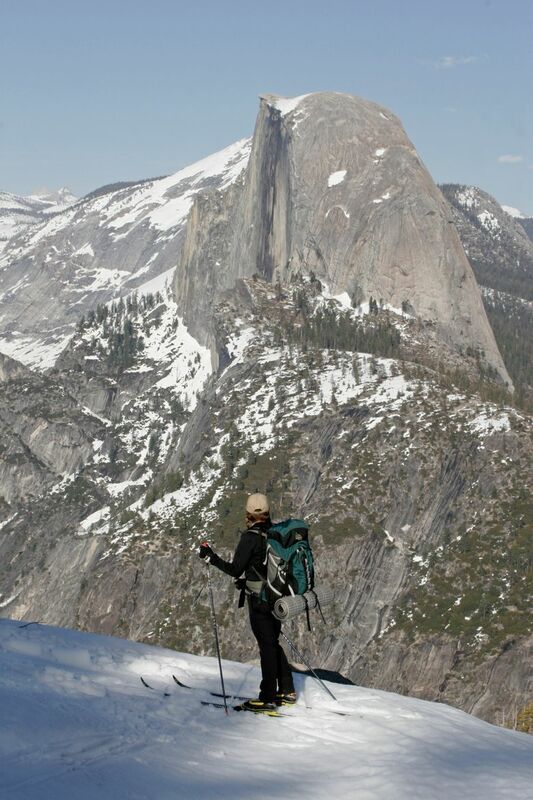 You can also ice skate at a rink in the shadow of the famed granite formation known as Half Dome. Park rangers also lead snowshoe walks (free with $3 suggested donation). Many of Yosemite Valley’s shops and restaurants remain open. And at the Majestic Yosemite Hotel, one of the country’s most storied national-park lodges, there are holiday decorations and a seven-course dinner with costumed performers called the Bracebridge Dinner (offered Dec. 10-22 this year; make plans now for next December). The wood-and-stone hotel, formerly known as the Ahwahnee, opened in 1927 and has hosted everyone from Presidents John F. Kennedy and Barack Obama to Queen Elizabeth and Walt Disney. Winter can also be a time to enjoy the park’s scenery without summer’s crowds. But the weather can pose challenges as well. Here are some details. Driving in, thick forests of snow-dusted pine and fir trees at first block your view of the park’s famous granite monoliths towering over Yosemite Valley. But there’s nothing like that first glimpse. El Capitan rises 3,600 feet from the valley floor, more than twice the height of the Empire State Building. On the other side of the valley is Half Dome, rising 4,700 feet off the valley floor. In winter, the options for seeing these landmarks from anywhere other than the valley are limited, as some roads in the park are closed until the snow thaws. The cables that climbers use to ascend Half Dome are also removed for the season. But there are walking tours led by National Park Service rangers that explain how these huge chunks of granite came to be. They’re not just the result of erosion, but were also formed by melting glaciers and forces under the ground that over the millions of years pushed them higher and higher. It’s a way to understand the massive forces that formed the earth itself. Getting there can be a challenge on roads that are potentially snowy and icy. Car-rental places may tell you — as they told me — that snow chains aren’t necessary. They are, to be blunt, lying. Rangers don’t enjoy checking car trunks for chains and cables but they do it and they will send you out of the park if you don’t have them. The good news is that chains are not that expensive, costing as little as about $40, and can be purchased at any auto-supply store nearby. Snow-chain technology has improved dramatically, making it far easier to put the chains on than it used to be. But if you still feel like you can’t do it, there are services along the road that will put the chains on for you for $30 or so. Yosemite Valley is about 210 miles from San Francisco. 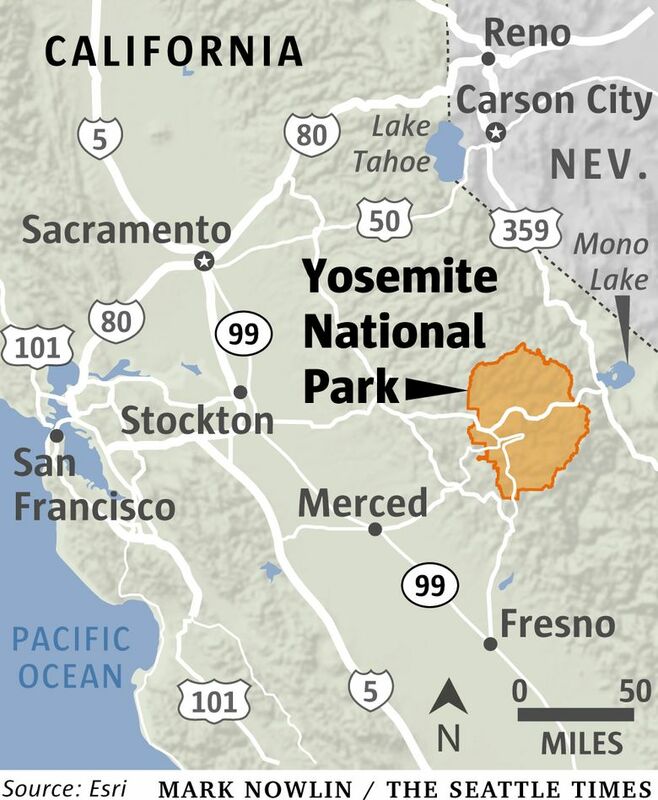 But if the winter drive sounds intimidating, use the YARTS bus service, which runs year-round between Yosemite and Merced, a city about 130 miles from San Francisco. Check for alerts, closures, schedules at nps.gov/yose. Yosemite Valley is about 210 miles from San Francisco. Things to do in winter: travelyosemite.com/winter/yosemite-winter-experience. Average winter temperatures range from the 20s to the 50s F. Conditions can change quickly and dramatically. Roads that are open one day may be closed the next. Tour schedules are also subject to change. For road conditions, call 209-372-0200. Seven-day entry pass, $30. 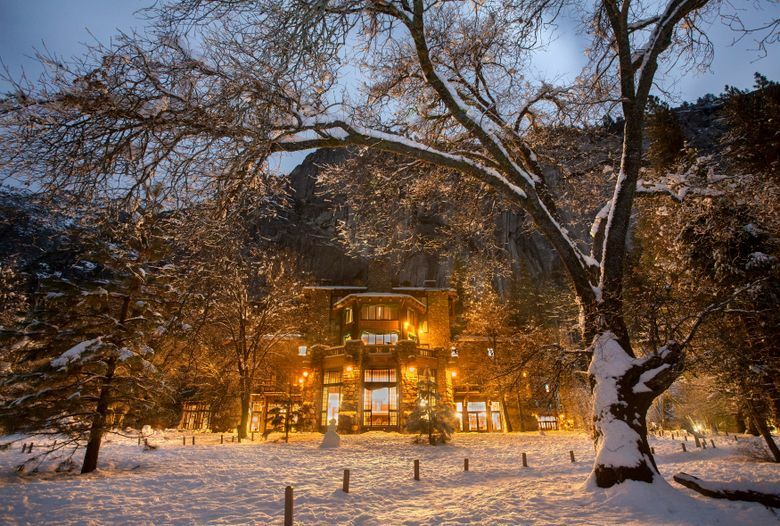 Depending on date, rooms for December-January at the Majestic Yosemite Hotel start at around $325-$500, more for peak holidays; travelyosemite.com/lodging/the-majestic-yosemite-hotel.